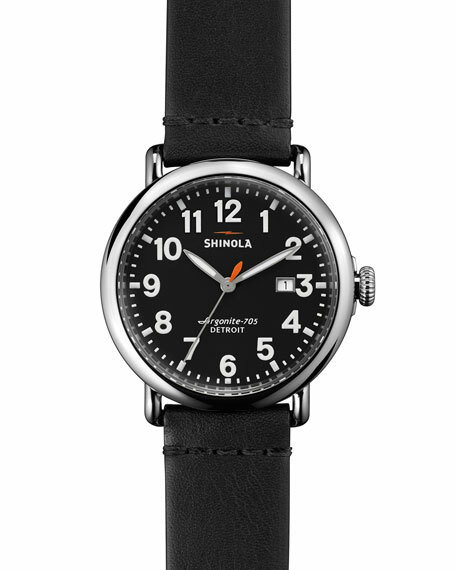 Shinola men's classic field watch from the Runwell Collection. Topstitched black leather strap with buckle. Black dial with Arabic numerals, hour markers, and luminous hands. Detroit-built Argonite 705 quartz movement with Swiss parts. Water resistant up to 50 meters (5ATM/160 ft.). Assembled in USA of Swiss and imported materials. Luminox® watch from the Navy SEAL Series. 44mm carbon-reinforced polycarbonate case and case back. Fiber glass reinforced unidirectional ratcheting bezel. Oris Diver men's bracelet watch with bronze. 36mm round stainless steel case and hardware. Three-link bracelet strap with deployment clasp. 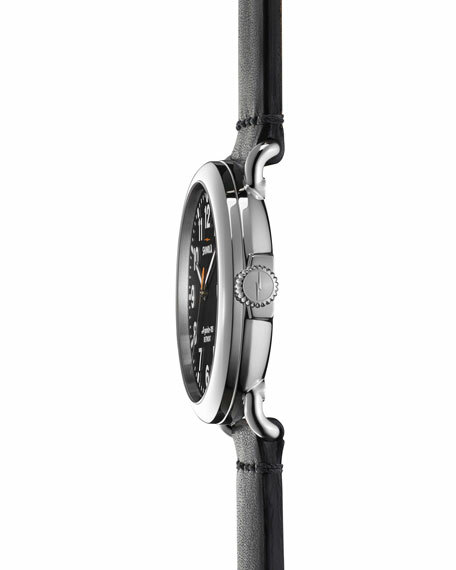 Oris Diver men's leather watch with bronze. 40mm round stainless steel case and hardware. 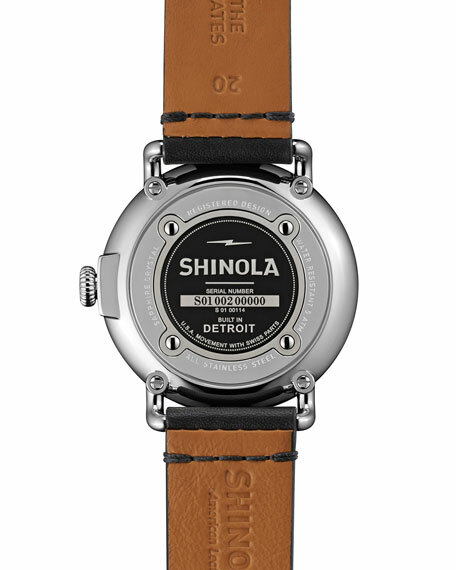 Brown leather strap with deployment closure.